I’ve had a Target debit card for years and I absolutely love it. The perks of the card got even BETTER this week when Target added free 2-day shipping on most items for REDcard holders! Read on to learn about the excellent perks of this card and how you can use it to save on your Disney vacation. Alternatively, I do NOT recommend opening a Target REDcard Credit Card. There are so many other and better cards than give you over $500 worth of free travel or statement credit! Don’t waste your valuable credit on this card when you can get the same benefits with their Debit card! Another perk of this card is that you can use it to save 5% on Disney Gift Cards purchased from Target! You can set these aside to save for a Disney vacation – they can be used to pay for your hotel, park ticket, dining, and more. You can even consolidate your Disney gift cards here, so you don’t have to carry a bunch of cards around with you. Or you can use your Target debit card to grab some Disney gear before your trip. 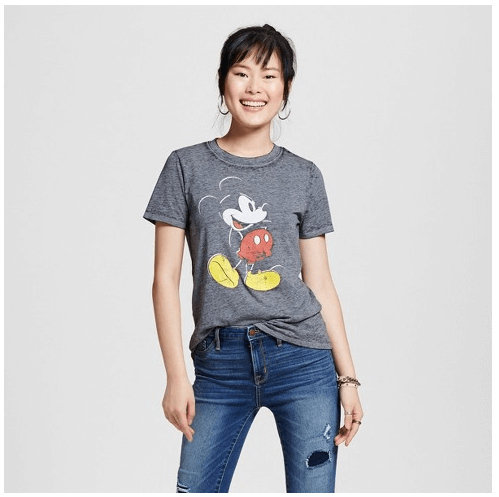 This t-shirt is $12.99 at Target (plus your 5% discount) and would easily cost $30 in the parks! I particularly love that the Target debit card pulls right from my checking account which keeps my spending in check. It requires no credit pull to open and doesn’t count towards Chase’s 5/24 rule for applying for their best cards. The perks are incredible for a no-annual free card especially the 5% savings and free 2-day shipping. 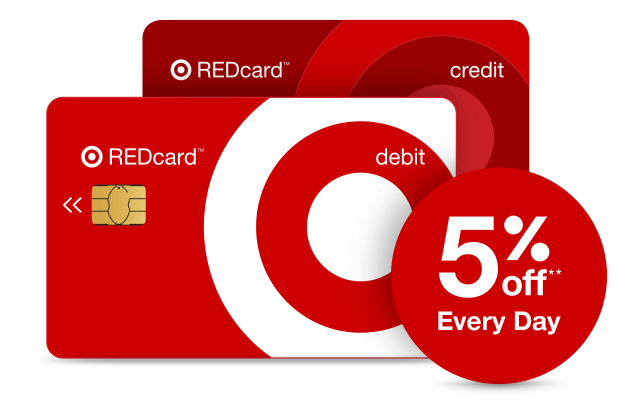 You can sign-up for a Target RED Debit Card here and start saving!